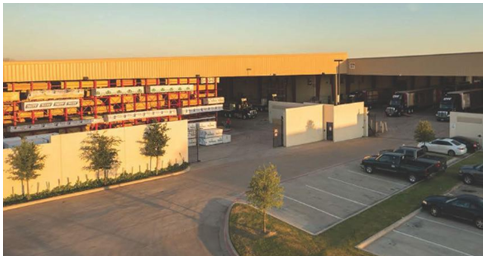 ​​​​​​​​ DeSOTO – A family-owned and operated distribution firm—DW Distribution Inc.—has sold its North Texas corporate campus and distribution hub in DeSoto. The 476,341-sf industrial facility, which sits at 1200 E. Centre Park Blvd., is valued at $21 million. The 21-acre campus includes the 476,341-sf industrial facility with 16 dock doors, 38,760 sf of office space and ample parking. It sits in close proximity to I-35E and I-20. Want stats? See DFW Industrial Market Research for quarterly commercial real estate reports.